YUM! 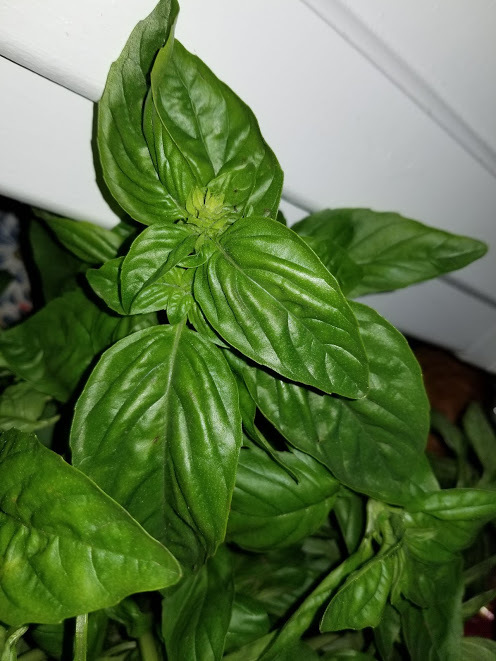 Who doesn’t love the intoxicating taste and scent of fresh basil? Whether we’re talking about a smooth marinara sauce or as a dressing for marinated chicken, this herb is one of the most beloved spices in the Boston area… But guess what? Food isn’t the only purpose for these vibrantly beautiful green leaves! Florists all over Massachusetts are taking advantage of basil’s popularity and working these plants right into their specialty of providing customers with stunning arrangements. Particularly during these next few months, basil is noted as not only being a perfect reflection of the summer season but also “right for the pick’n” as a matter of speech. Farms, greenhouses and local nurseries are overwhelmed with clumps of fresh basil, which makes this variety a no brainer for designers. If it’s nice to look at and readily available by suppliers, why not use this herb as a focus for this month’s fresh flower bouquet? Using basil can be really simple for both designers and at-home hobbyists. Select simple garden flowers such as cosmos, bachelor buttons, daisies or scabiosa and mix gently within a large bunch of basil. All you need is a touch of color that will break up all of that green such as pink, white, blue or red (but any color will work) to create a stunning summer arrangement that will last a good five to six days with replenished water. If you really want to complete the look, place in a water-soluble bowl or glass mason jar to give it that Homestyle look. One of the best characteristics of basil is that the plant is grown in a variety of colors that pair well with just about any shade you can think of. If the petals happen to be purple, then you are really in luck because the leaves will provide an extra “kick” to the arrangement. 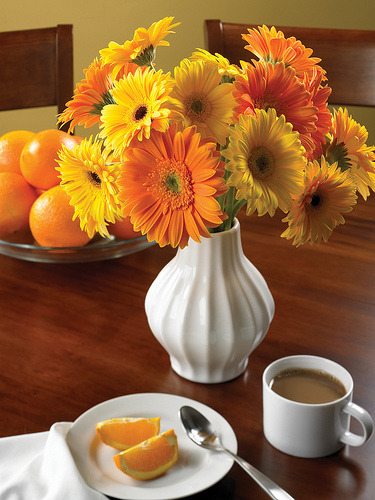 Try varieties such as dahlias, sunflowers and lantana to give the piece a real “pop” of color. You’ll be amazed how easy it is to put together and the natural beauty that emanates once you are finished! I know we’ve been talking a lot about flowers mixed with basil but how about going back to the plant’s “roots” so to speak? Basil not only looks beautiful with summertime bloomers but also with veggies that might already be planted nearby. This style is sometimes referred to as the “salad bouquet” where plants such as tomatoes, squash, beans and kale replace the traditional blossoms for a total “green” presentation. The colors that effervesce from these centerpieces is simply spellbinding while also reflecting the theme of fresh fruits and veggies.